48-Hour Itinerary: Spend the Weekend in Albany! Spending a weekend in Albany with your significant other or friends? Enjoy your trip to the fullest! Follow this easy, 48-hour itinerary to make the most of Albany's great restaurants, hot spots, and things to do. You can easily adjust the schedule depending on what else you have going on and what your interests are. Please note: Hours and pricing mentioned here for various establishments are subject to change. It's always best to contact the business ahead of time to confirm. 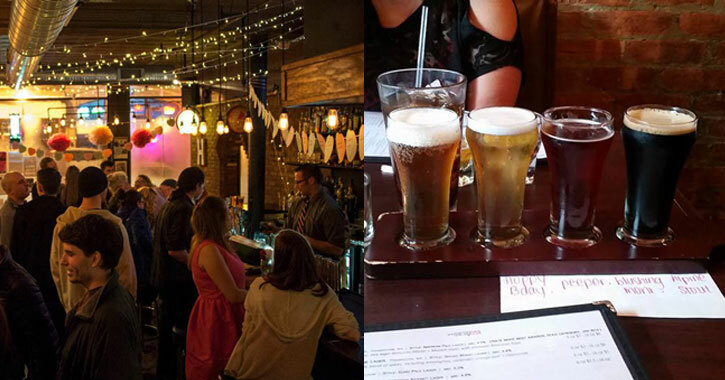 Pearl Street Pub is perfect if you're looking for somewhere casual where you can pop in and expect some high quality pub fare. Try the fish tacos or the buffalo mac and cheese! And, bonus - they have trivia going on every Friday, and often have shows happening at The Upper Room. If trivia isn't your thing, no worries, just sit back and enjoy the Friday night ambience along with your meal. If you happen to be in town during the first Friday of the month you can check out First Friday! 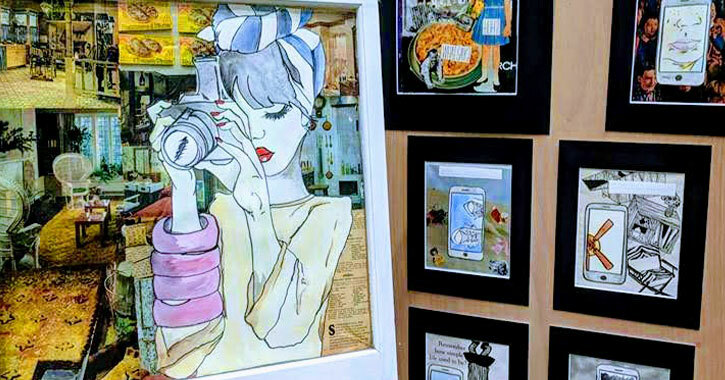 This is a celebration of arts and culture in downtown Albany, organized by the Upstate Artists Guild and other local businesses. You'll find a full schedule of events, live music, exhibits, and more at art galleries (like Albany Barn, pictured above), cafes, churches, and other locations. Restaurants and shops often have specials or deals going on as well, making this a great night to enjoy downtown. 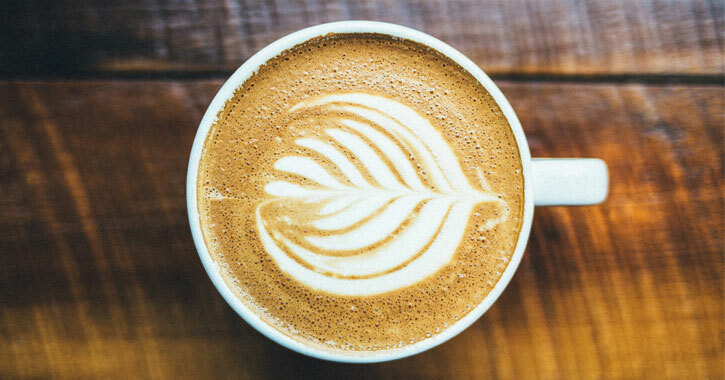 Regardless of whether your hotel offers complimentary breakfast, a great way to start the day is by grabbing a quick coffee and breakfast at one of the local coffee shops, like Stacks Espresso Bar on Lark Street. Love something sweet in the morning? You definitely have to try the amazing doughnuts at Cider Belly Doughnuts on North Pearl Street. 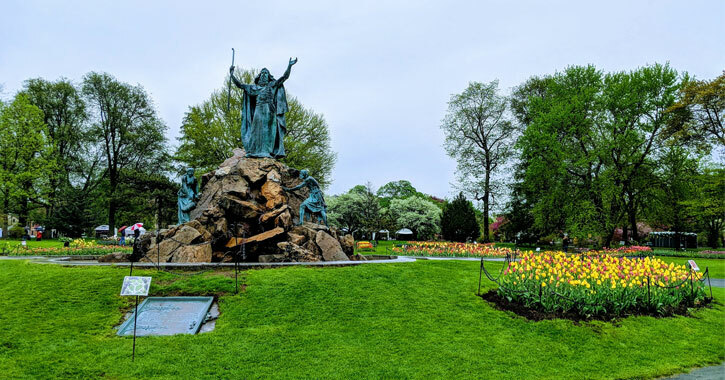 Washington Park is in the heart of Albany and here you'll find walking trails, a large pond, over 100 species of trees, a playground area, and statues and monuments. If you happen to be here during the spring, you'll also find a wide variety of gorgeous tulips! This inviting park is considered to be an "Olmestedian" park, as it incorporates ideals used by Frederick Law Olmstead, who designed New York City's Central Park. Washington Park was created in the 1870s and was named one of the nation's 100 Most Important Parks in 1998 by the American Association of Architects. Empire State Plaza is a gorgeous spot to walk around. 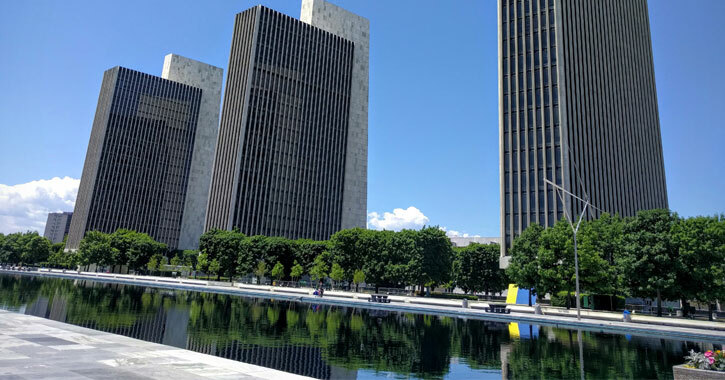 You'll see amazing architecture and art in the 98-acre complex with surrounding buildings like the New York State Museum, The Egg, Corning Tower, The Capitol, and there's also a decorative pool with fountains. Nelson A. Rockefeller, who was governor of New York State from 1959 to 1973, was on a mission to create "the most electrifying capital in the world." He employed architect Wallace K. Harrison to create the Empire State Plaza; Harrison also played a major roll in constructing Rockefeller Center. Construction for the Plaza went on from 1965 to 1978, and it's a major cultural center today. This is the place where many of the City's big summer events happen, like the Capitol Concert Series which consists of free live music performances, and major festivals, like Dad Fest on Father's Day, the New York State Food Festival in August, and much more. Speaking of the Empire State Plaza, if you are walking around the area you might as well pop into the museum! The New York State Museum opens at 9:30am on Saturdays, and it's free. You can see a huge selection of riveting exhibitions ranging from artifacts from 9/11 to New York State birds and much more. In fact, the New York State Museum is actually home to the largest and most comprehensive collection of artificats from 9/11. 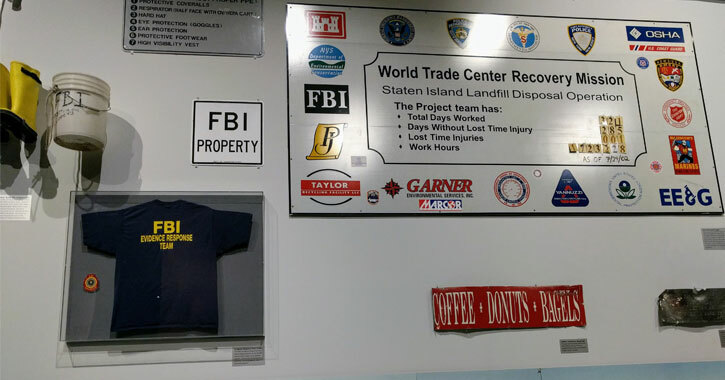 Here you'll see building materials, objects from offices, artifacts relating to the efforts of the first responders, fragments of the aircraft, and other historical materials. 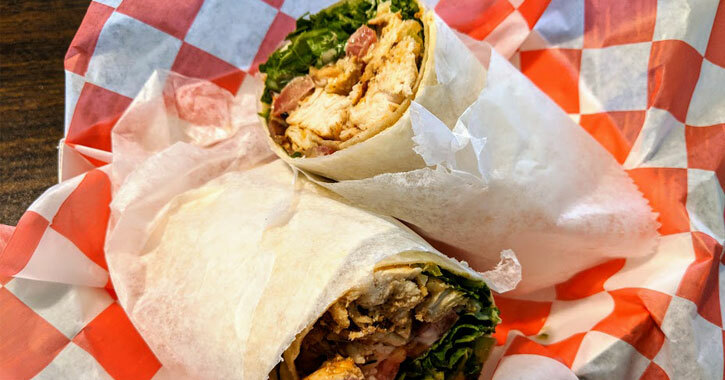 Pepper Jacks, just a 10-minute drive from the New York State Museum, has everything from sandwich wraps to paninis to tacos to Philly cheesesteaks. It's quick, easy, delicious food, and you can eat there or head out. They open on Saturdays at 11am. Other places you might opt for a quick lunch would be Bombers Burrito Bar or DiBella's Subs. Bombers has incredible burritoes and Mexican food, and while they are known as a nightlife restaurant and bar, they have an area downstairs separate from the bar. You can eat there or to take lunch to go. DiBella's Subs is located in nearby Latham and is widely known to have some of the best subs in the area. The Schuyler Mansion, once home to Revolutionary War general and US Senator Philip J. Schuyler, is one of Albany's historical hotspots. The mansion is open for tours May through October, and is open 11am to 5pm on Saturdays. Hamilton fans will especially want to check this place out - one of Schuyler's daughters, Elizabeth, married Alexander Hamilton in this home! 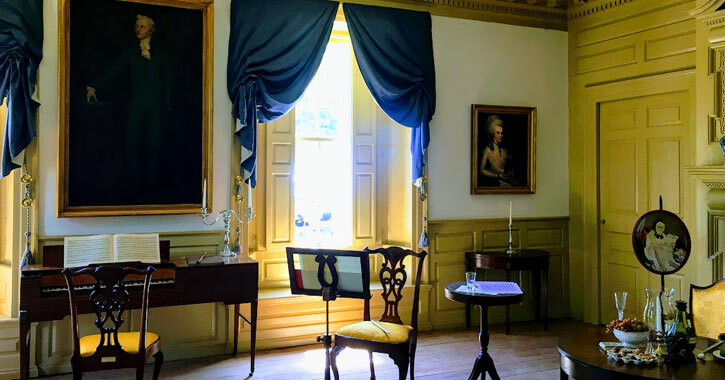 For more history fun, check out Historic Cherry Hill, open on Saturdays from 1pm to 4pm. Historic Cherry Hill has more than 70,000 items in the home from the families who lived there between 1787 and 1963. 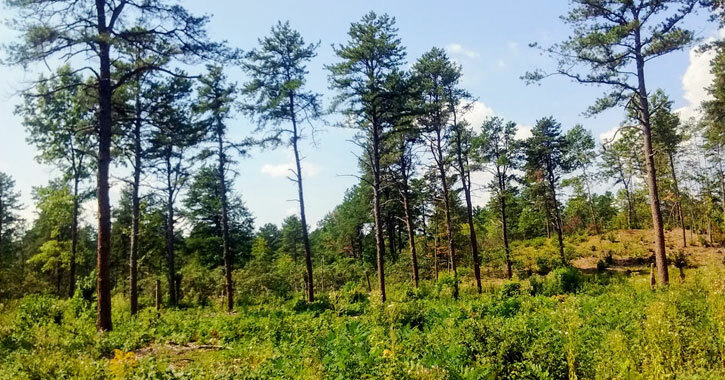 We have a hidden gem of nature right here in Albany: the Albany Pine Bush Preserve has a globally rare pine barrens habitat. The whole preserve consists of over 3,000 acres of land with nearly 20 miles of multi-use trails - and the trails are fairly easy. You don't need to be a serious hiker to enjoy a lovely walk in this special preserve! You might also try Thacher State Park, another popular place for hiking in the Albany area that offers some great views. The Albany Institute of History & Art is one of the oldest museums in the entire country. Here you'll find collections that document the life and culture of the Upper Hudson Valley region from the late 1600s to present day. Exhibitions include documents, fine arts, personal objects, manuscripts, photographs, and much more. This museum is open on Saturdays from 10am to 5pm and general admission is $10. 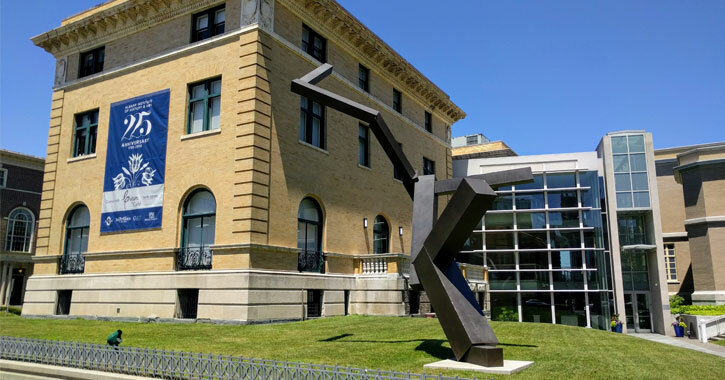 You might also check out the Albany Center Gallery, which has frequent rotating exhibits with no permanent collections, and they offer free admission. If you happen to be in Albany for a special occasion and you're seeking a real fine dining experience you're going to want to go with Angelo's 677 Prime. 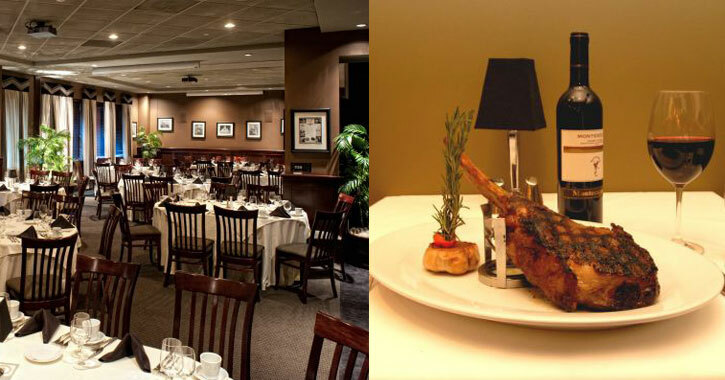 This is an upscale steakhouse with an international wine list of over 500 selections. You might also try New World Bistro Bar, for a high-end farm-to-table experience and a creative menu. The Hollow Bar + Kitchen is touted for its incredible cuisine, craft beverages, and live music, making it the perfect nightlife spot. In fact, they often have a band playing on Saturday evenings. Check out the Surf & Turf Burger or the Signature Gnocchi! 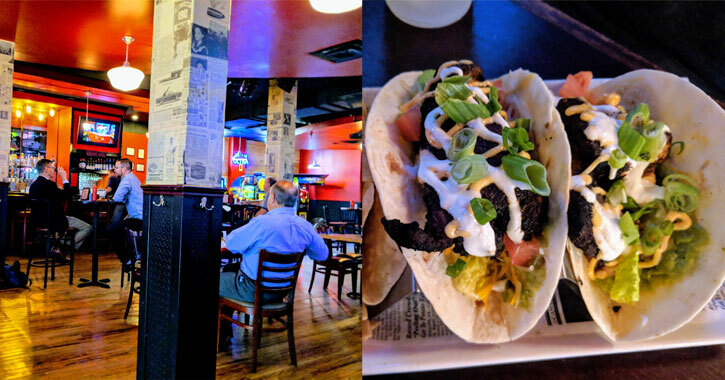 After dinner, feel free to wander North Pearl Street to check out another bar, like Blue 82 or the Merry Monk, or make your way over to Lark Street for more nightlife fun. When planning for your Albany trip, why not find a fun performance going on to enjoy after dinner? Live music shows, comedy shows, and more are always happening in Albany. 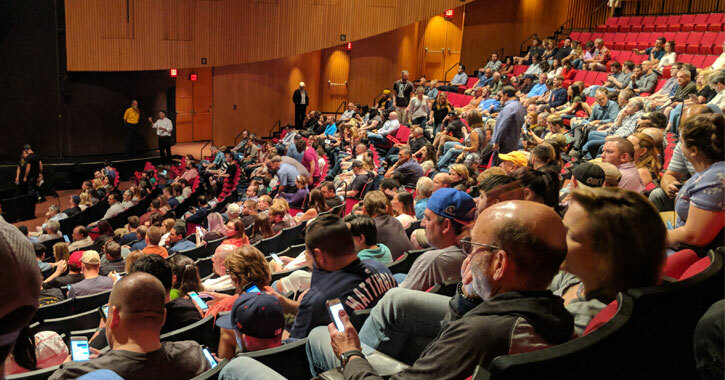 The Palace Theatre, the Times Union Center, and The Egg are the three main performance venues in Albany, although you might also check out the events calendar for happenings at smaller venues, like the Albany Funny Bone Comedy Club. The City Beer Hall: More Than Just Beer! 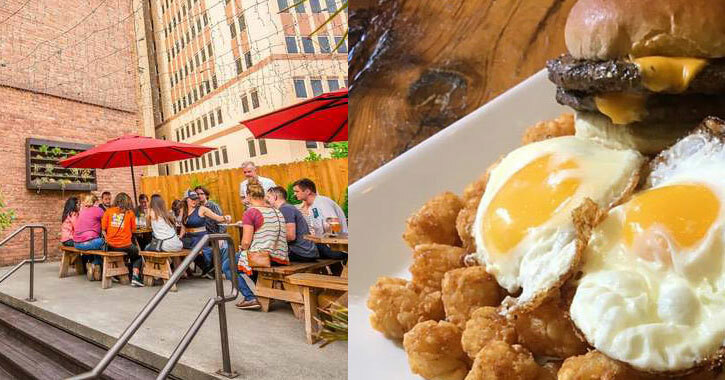 The City Beer Hall has one of the best brunches in the area! Stop by before you head out of town. Brunch happens on Sundays from 11am to 3pm. Meal options range from classic breakfast items to more lunch-centric choices like sandwiches, to sweet treats like chocolate peanut butter French toast. Your brunch entree will include coffee and your choice of a craft beer, bloody Mary, mimosa, or screwdriver. And, bonus if you're in Albany during the summer months: the City Beer Hall also has one of the best patio dining experiences in the region.